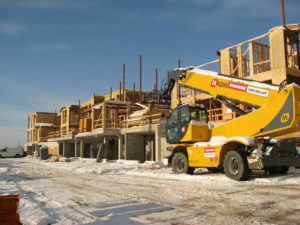 This mid-rise wood building, known as ‘the Preserve,’ is located in Oakville, Ont. What defines the contemporary home? Is it the compact condo? The McMansion? There seem to be two extremes, but not much in between when it comes to design. This is odd considering the variety of technology and materials architects and project teams have to build new homes and communities. Diversity is often overlooked in today’s urban and suburban areas, but ‘missing-middle’ home typologies can restore the origins of city or rural living—where working and living is naturally combined, floorplans and spaces are flexible, and design and materials are human-scale and inviting. Missing-middle housing defines buildings and houses containing a range of different dwelling types, as well as live/work arrangements helping keep communities affordable, walkable, and vibrant. Typically, these buildings are larger than single-family homes and smaller than apartment buildings and high-rises. Growing up in the Netherlands, this author lived directly above his parents’ retail store on a busy historical high street. A variety of housing options attracted diverse residents and allowed for an interesting and dynamic streetscape, giving the neighbourhood character and warmth. There, it was possible to complete most errands without having to ride in a car—but in Canada, the nearest schools and stores tend to be a long drive away from home, and windy, car-oriented roadways with large gravel shoulders, cracked asphalt edges, and potholes are the norm. Jumping on a bike or walking where you need to go is a challenge. How can a natural live/work experience be recreated in booming Canadian cities? Wood is one of Canada’s most-used renewable resources, and the country is leading the world in its use as a construction material. However, it is still possible to do more with wood. It may help to think of it as a crop that needs to be cultivated and harvested to feed growing cities. After many years of protecting established neighbourhoods by way of zoning restrictions, municipalities are now seeing the opportunity to reverse these trends and make mixed-use timber-framed vibrant places a reality once again. The speed and scale of development in Canadian cities like Toronto and its outlying areas mean it is critical to be innovative with designs and construction materials. As community builders, design/construction professionals should be hyper-aware of shifting demographics. An aging baby boomer population, coupled with a mini millennial baby boom, necessitates very different approaches to architecture and construction. Consumers demand livable spaces and floorplans, flexibility, warmth, and green construction credentials. Historically, wood has been associated with a cost-effective way of building safe housing and neighbourhoods, and that tradition should be continued. Wood construction allows homebuyers the opportunity to purchase a modern, spacious, and affordable home. Wood-framed housing typologies can provide a range of options to communities, along with benefits such as cost-effectiveness. Wood is now a positively disruptive force in the construction industry, because it has been engineered to provide high-tech performance while maintaining its low-tech and more-familiar appeal. 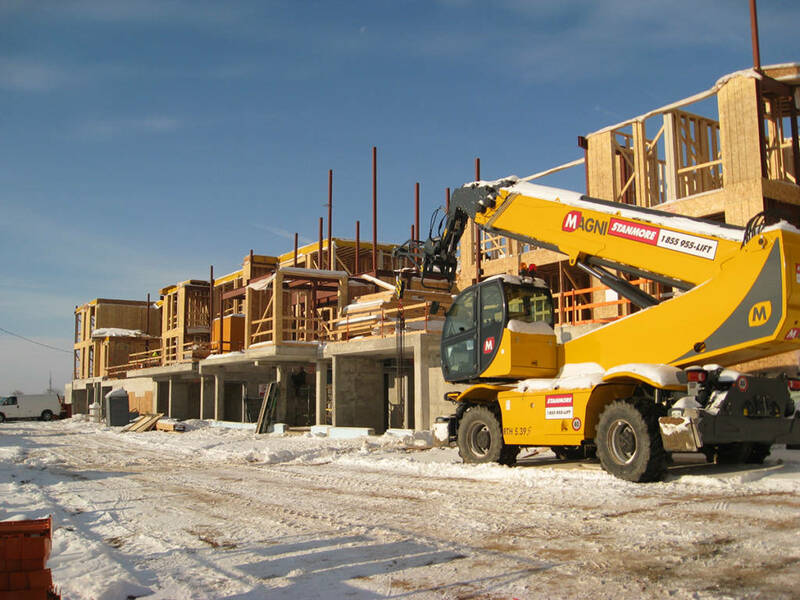 The material speeds up construction because it is relatively light and can be prefabricated offsite, but also easily transported to and assembled onsite. 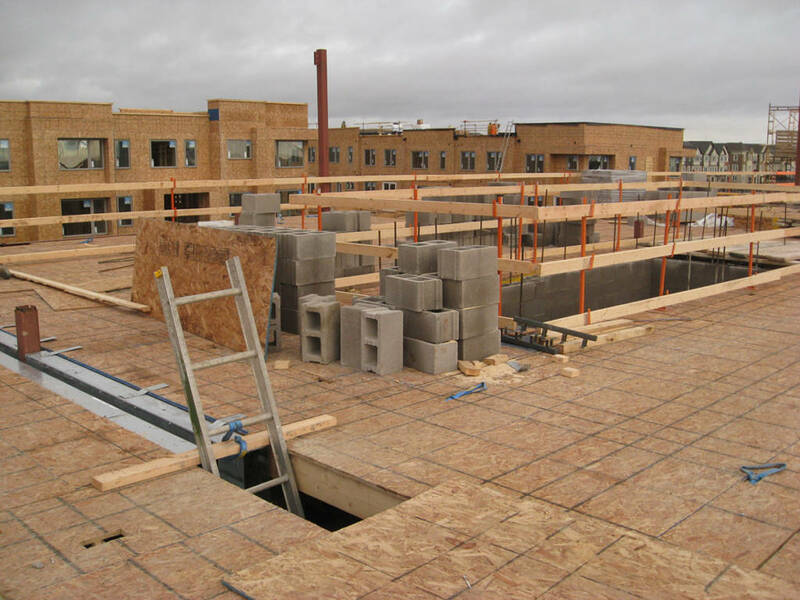 Quality, code-compliant, and safe structures can be realized by using a cost-effective and sustainable building material. Taller wood structures can soar (take University of British Columbia’s [UBC’s] Brock Commons, an 18-storey student residence) or remain at modest heights while achieving high densities to present housing types people can identify with. They can have historical echoes, but are built with modern building codes and materials. It takes knowledgeable architects and skilled construction crews to create taller wood buildings, but such construction is possible, and is resurrecting a far too long-neglected industry. Historically, wood is associated with structural members strong in the direction of the grain and weak in the cross direction. Wood is an orthotropic material, because properties change when measured from different directions. New technology and engineered wood products have taken these properties and enhanced them. Carpentry and woodworking skills exist, and should be nurtured and grown by being infused with creativity and innovative supply-chain thinking. Carpentry should be one of the fastest-growing trades in Canada, as young people start to see it as an exciting viable career option infused with new technology. 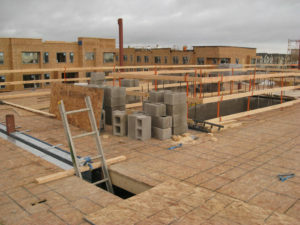 There is also now the possibility for wood-frame ‘skyscrapers’ well beyond what current Canadian building codes allow. These have been embraced by many countries that never limited the use of wood in the first place. 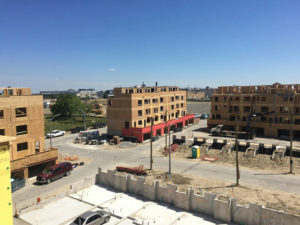 Of course, the limitations imposed on wood make sense, since many growing cities have experienced fires, which were devastating events that made way for urban renewal with measures of safety and new building techniques and materials to be introduced. Countries that did not suffer these fires have the advantage of being early adopters of this emerging way of using wood, potentially eclipsing existing Canadian expertise. Currently, Q4 is working on Mattamy Homes’ Downsview Park, the largest urban infill project in Canada, which will encompass 580 modern townhouse units. Mixing residential and office, or mercantile occupancy, is an additional benefit of these structures. Many established neighbourhoods have main streets with predominantly wood structures where this mixed occupancy is the norm, not the exception. These live-work typologies will alleviate some of the gridlock modern, single-use zoning regulations have imposed. The opportunity to innovate with materials and technology is one of the reasons this author recently joined Q4 Architects, which pursues quality architectural design for municipalities and end-users driven by four principles: mixed-use, walkability, diversity, and density. Also critical are the four principles driving the construction industry: speed, ease, quality, and cost. Regular dimensional lumber (i.e. 2×4, 6, 8, and 12) and engineered timber products (i.e. I-joists, laminated veneer lumber, parallel strand lumber, glulam, and cross-laminated timber [CLT]) are powerful building components. When combined with metal, hold-down straps, tie rods, and other hardware and fasteners, they result in extraordinary quality and cost-effective structures. These methods of mechanically combining materials are elemental, and are easily taught and understood. Comparatively, concrete and many more modern construction materials rely on chemical reactions and need certain environmental temperatures and conditions to produce the ideal results. New back-to-back townhouse typologies this author’s firm calls intermediate or ‘i-rise’ housing provide options for people looking for affordable homes while complying with more sophisticated code requirements. Filling the gaps between low-, mid-, and high-rise, this housing type enables a fresh look at fitting together multiple livable floorplans, with accessibility and appropriate relationship to the street. Multi-unit living arrangements maintain building individuality while minimizing common space and amenity requirements of the more-typical double-loaded corridor apartment buildings. These ‘missing middle’ wood-framed housing typologies give families housing options so they can enjoy access to retail, green space, and shopping. The lack of spacious backyards has brought more emphasis and purpose to pocket parks and the positive social benefits of public spaces, felt by young and old. To allow taller structures by safely integrating renewable and combustible materials is to recognize innovations such as new structural mass timber products. Six storeys is just the first step to a more community-oriented and sustainable future. It is this author’s hope the new wood-frame building codes can be used to flex industry creativity for better and more-complete urban and suburban environments, allowing children of millennial families to experience what he did growing up: a healthy, safe, diverse, and active community. 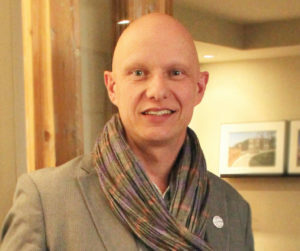 Marco VanderMaas joined Q4 Architects as director of design in 2016, supporting his intense focus on mid-rise and new urbanism as well as his impressive track record in wood construction, utilizing the recent changes to the six-storey mid-rise wood-frame Ontario Building Code (OBC), and advocating for taller wood structures and new typologies. 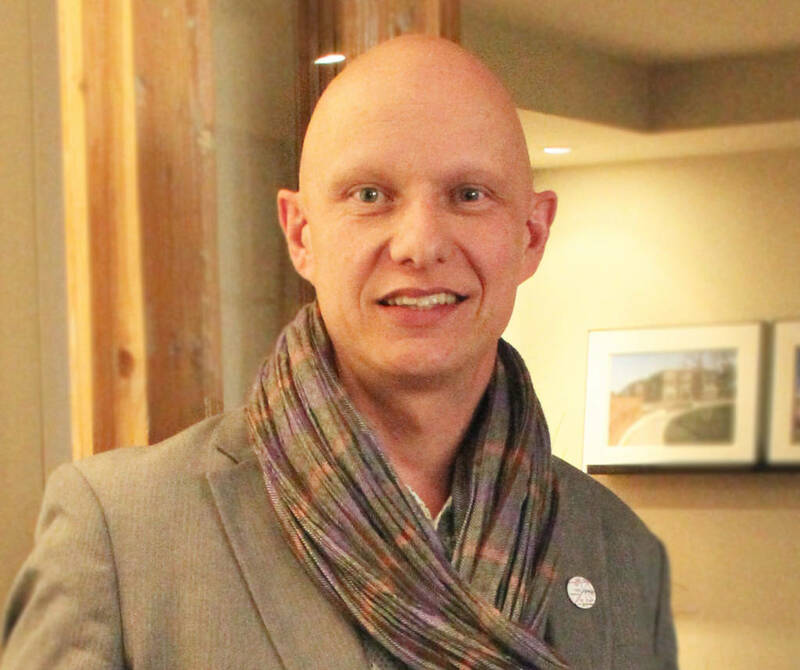 Passionate about understanding the power of design, VanderMaas does not shy away from embracing the architect’s role in complete community building. He can be reached at mvandermaas@q4architects.com.